With Great Day’s purchase, Shatner dove headlong into breeding and showing Saddlebreds in addition to his reining Quarter Horses. 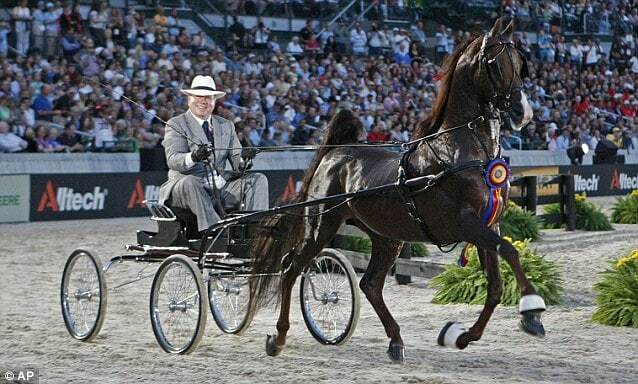 Great Day was twice World Champion in fine harness and was retired to the breeding barn at Shatner’s Belle Reve Farm in Kentucky while the reining horses remained in California. He has since added Standardbreds to their breeding program. In 1990 Shatner established the annual Hollywood Charity Horse Show, bringing together top reining horses and riders, world famous musicians, and a charity auction to benefit therapeutic riding programs for disabled children. One ticket to the event costs $300 and the 2011 show raised $375,000 for L.A.-area charities. 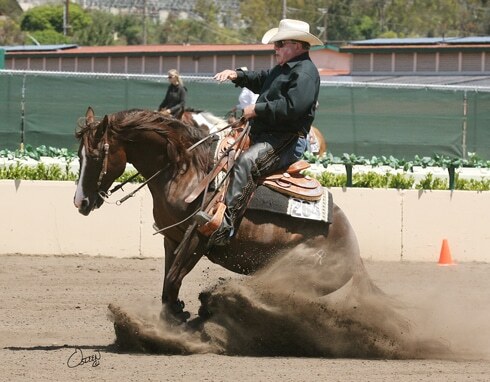 Shatner even saddles up to give reining demonstrations at various charity events, like the 4R Performance Horses Celebrity Slide that benefits the Make A Wish Foundation. A serious competitor in reining, Shatner was named Pacific Coast Year End Horse of the Year All-Around Amateur in reining in 2009. 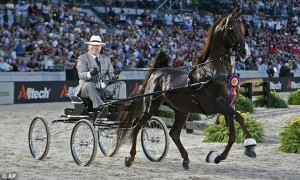 The following year he participated in the opening ceremonies of the FEI World Equestrian Games at Kentucky Horse Park with Call Me Ringo, a son of Sultan’s Great Day that he bred himself. In 2010 artist Katherine Bogucki sculpted Call Me Ringo for Stone Model Horses. 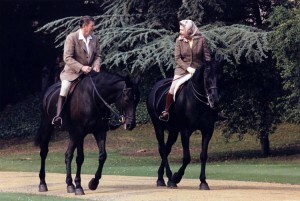 Queen Elizabeth II’s favorite riding horse was a black mare of mostly Thoroughbred breeding named Burmese, given to her by the Royal Canadian Mounted Police in 1969. The queen rode Burmese for the Trooping the Color every year until the horse’s retirement in 1986, after which Her Majesty chose to ride in carriages for later Troopings. 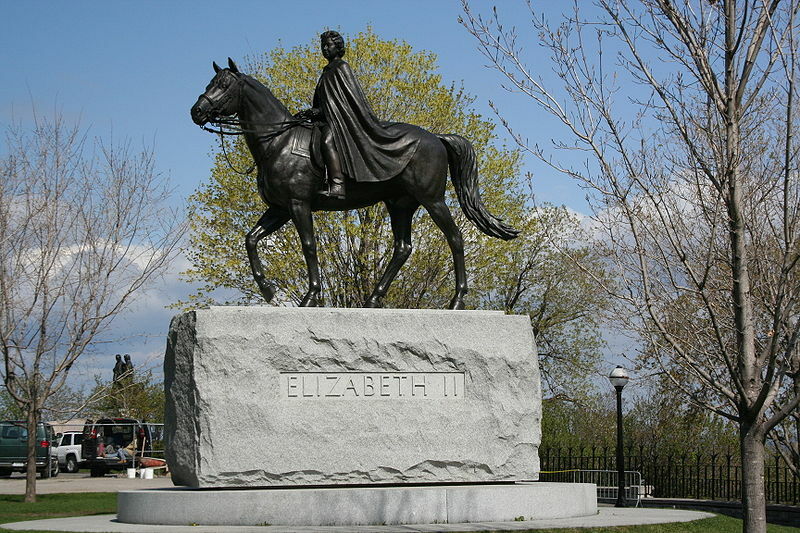 Another horse given to her by the Royal Canadian Mounted Police, Centenial, was also favored by the queen. A statue depicting the queen riding Centenial was erected in a park in Ottawa, Ontario, Canada, in 1992. 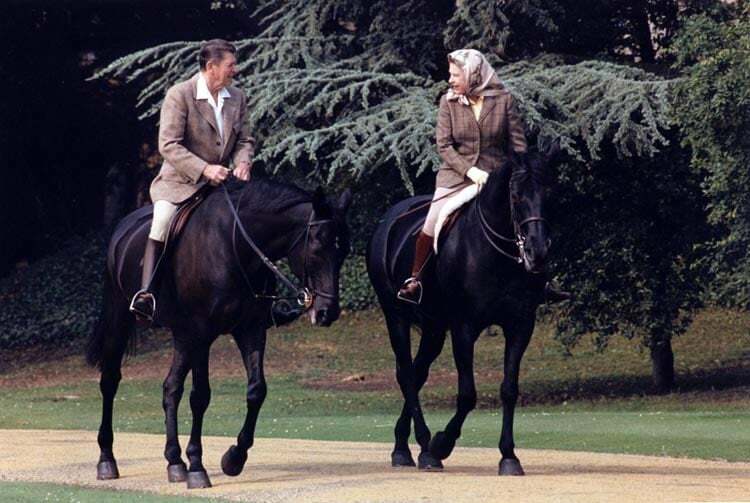 The queen is an admirer of all horses, but especially those native to the British Isles. Her Majesty is patron of the British Horse Society and the breed societies of the Shire, Cleveland Bay, and Fell Pony. She usually has around 20 Thoroughbreds in race training every year and she frequently attends horse shows and races. At her Diamond Jubilee birthday celebration on June 5, 2012, 116 horses and riders will accompany the queen’s carriage as it travels from Westminster Hall to Buckingham Palace. The queen continues to ride at the age of 85, although she refuses to wear a helmet. Almost everyone in horses knows about Patrick Swayze’s love for Arabians. His family had a long history in horses — his grandfather was a cowboy, his father was a rodeo champion, and the Swayzes were friends with Arabian trainers Tom and Rita McNair. The McNairs managed Gleannloch Farms near Houston, Texas, a prestigious Arabian stud that hosted influential people from around the world. Patrick’s mother was a dance instructor and her young students, including Patrick and his future wife Lisa Niemi, performed for world dignitaries at Gleannloch. There Patrick saw the imported Egyptian Arabian stallion *Morafic and was smitten. As a teenager Swayze was also a rodeo competitor, but he turned his focus to professional dancing for the next several years. Missing horses in his life, Swayze built a ranch in Southern California in the 1980s and dedicated it to his horse-loving father who’d died a few years earlier. 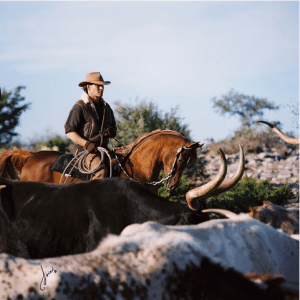 He started out with stock horses he used for calf roping competitions and a few Arabians, and in 1992 he attended the Gleannloch dispersal sale and took home the stallion Tammen, who had a lasting effect on his life. Swayze frequently enjoyed riding Tammen at the Texas ranch where the stallion was cared for by Tom McNair. He described his relationship with the chestnut stallion: “I feel like my soul gets to fly when I’m with him.” Tammen died in 1999, but Swayze continued to own and show the horse’s offspring. Swayze died from pancreatic cancer in 2009 at his ranch in New Mexico with his wife Lisa nearby and his horses in the pastures outside. Below is a 1989 interview of Patrick Swayze with actor Tab Hunter at Swayze’s Southern California ranch.